Location: No.22, Ln. 377, Longjiang Rd., Zhongshan Dist., Taipei City,Taiwan(7 minutes walk from Zhongshan Junior High School MRT station) Tired of boring Chinese classes? 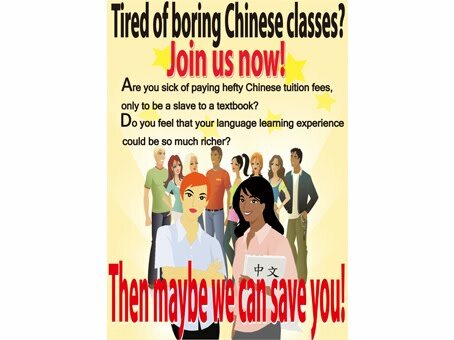 Are you sick of paying hefty Chinese tuition fees, only to be a slave to a textbook? Do you feel that your language learning experience could be so much richer? Then maybe I can save you! Having fun in my Chinese class! Our class sparkles with well-trained TCSOL-certified teachers who believe that the text book should only be the roadmap, not the vehicle itself. 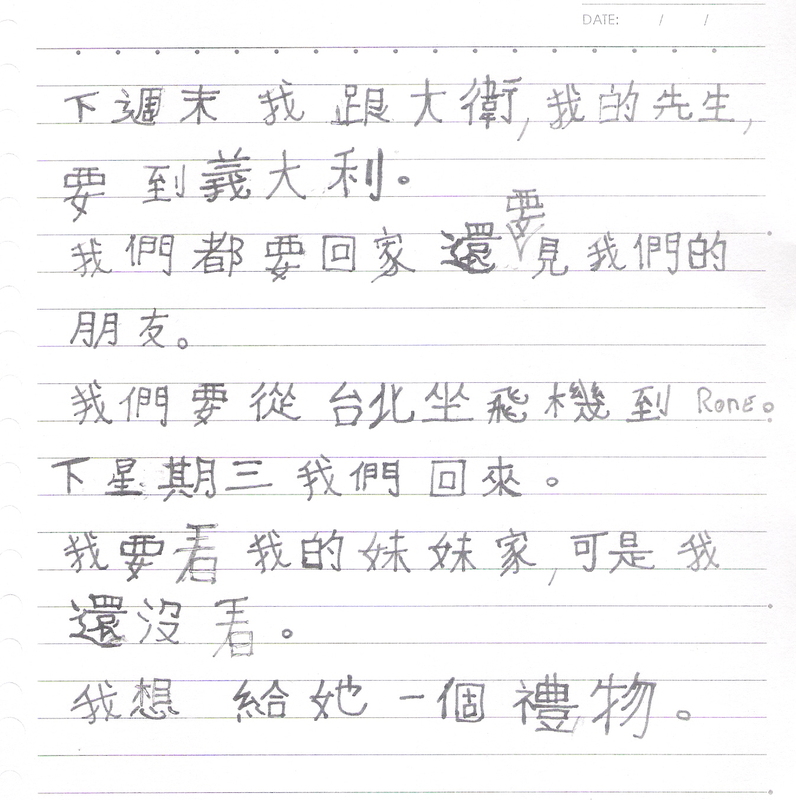 Furthermore, we not only instruct students in the fundamentals of the language but also offer tangible exposure to Chinese culture with introductions to calligraphy, basic Chinese cooking and hand-crafts through Chinese incorporated into some lessons. Students they learn about this event and made Xiāng bāo(Sachet)in the class. Duanwu Festival (Chinese: 端午節/端午节), also known as Dragon Boat Festival (Chinese: 龍舟節/龙舟节), is a traditional and statutory holiday associated with Chinese and other East Asian and Southeast Asian societies. Equivalent and related festivals outside Chinese-speaking societies include the Kodomo no hi in Japan, Dano in Korea, and Tết Đoan Ngọ in Vietnam. 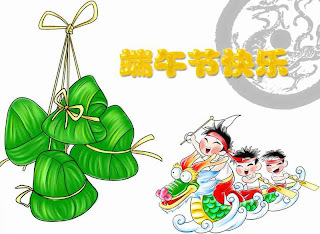 The festival occurs on the 5th day of the 5th month of the lunar calendar on which the Chinese calendar is based. This is the source of the alternative name of Double Fifth. In 2011 this falls on June 6. The focus of the celebrations includes eating the rice dumpling zongzi, drinking realgar wine xionghuangjiu(Chinese: 雄黃酒/雄黄酒), and racing dragon boats. 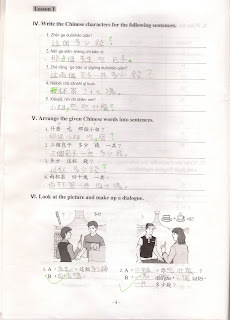 Don't be afraid to write Chinese characters. 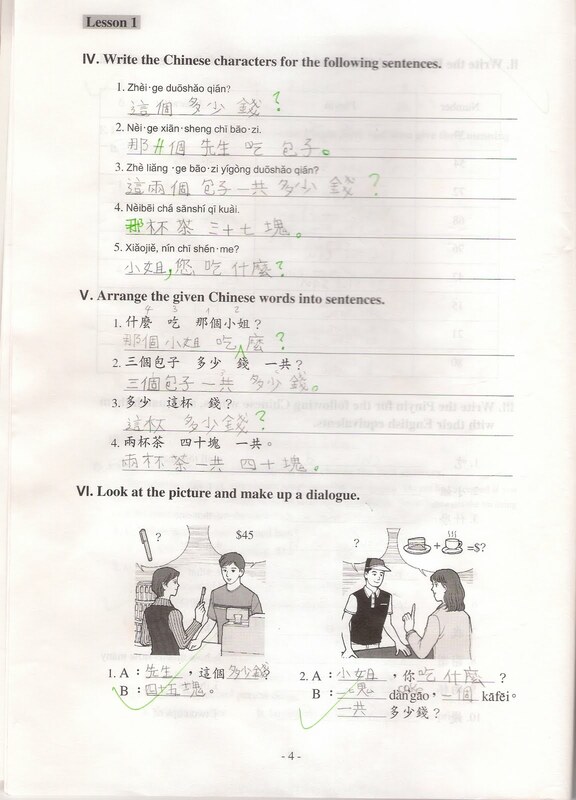 Check these writing.Do you have any idea how long have they learned Chinses? I must say don't be afriad to write it. strukture. I am so proud of them. I am glad they inspired by my lesson. Band: Transition 前進樂團 Qián jìn yuè tuán. I really want to show my appreciation for your continued hard work and positive attitudes towards my class. So, I have a proposal. As you may know, the Dragon Boat Festival is very important in Chinese culture. Also, in my classes, I believe that learning the language isn't only about grammar, speaking, comprehension and other such things; it’s also about providing some cultural background and encouraging you to explore it. So, I want to invite you to a special occasion at my school, a kind of school open day in the form of a "Dragon Boat Racing Party”. I will prepare some snacks and soft drinks and organize a fun "Dragon Boat Competition". You are also free to bring your own beer if you like. Obviously, I’ll understand if you can’t make it but it’s a chance to meet and get to know some other students who study with me. You can come alone or bring some friends along if you prefer. Ask your partner or whoever you choose really. Just let me know if you can come in advance and how many people will be attending with you so I can prepare properly. I’m not sure which day suits most people, so if you could RSVP when you get the chance. Answer in my Facebook page or reply me by email,please. Pauline is an excellent teacher. She's very patient and fully dedicated to her pupils. Even though we all have different levels in the class, she always makes entertaining and fascinating classes. Pauline is extremely patient and tolerant, and it's for me such a great pleasure to attend her classes every weeks. Last workshop we had, she came to the class with some amulets we had to make. Very fun and not only this, but we had a full class concerning some Chinese ancient believes and tradition. Once she even came with some Aka traditional food, that e all shared together. Absolutely amazing! To sum up, if you want to learn mandarin with a nice and very efficient smiling teacher , full of stories and good examples , Pauline is definitely the teacher you need ! One student's comment about my class. new vocabulary. Words and structures come with cultural explanations, that are always interesting and sometimes even bizarre... but this is Chinese for western people!... !... ...and this is the way we learn!!!!! In class we practise the content of the lesson with games and activities which make my time pleasant and funny ...and really cheer me up while I am struggling with the Chinese language! " 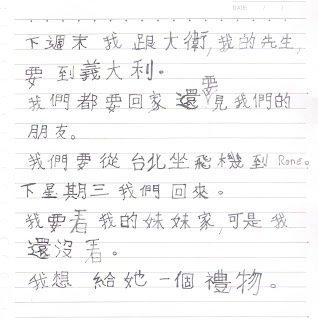 Thank you 莉佳.It really encourages me a lot.